You've got mail...box! 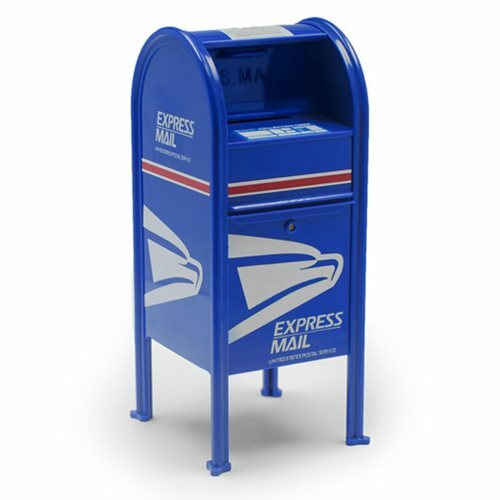 The USPS Express Mail Dropbox Replica measures 6-inches tall. The USPS Express Mail Dropbox Replica features USPS Express Mail banding. The plastic mail dropbox comes detailed printing and decals. There is an opening at bottom has a magnetic area used for holding paperclips. Ages 15 and up.